Happy Friday! If you’ve been following my blog, you’ll know this week is my first week working from home! Its been a huge change, but I’ve been loving it! Tomorrow is my first Saturday off in almost 5 years(!!! ), I can’t contain my excitement. 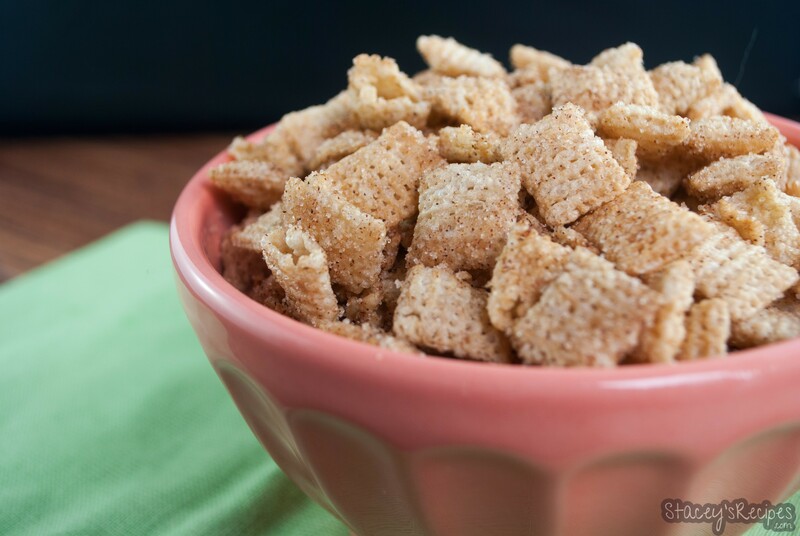 Did you ever eat Cinnamon Toast Crunch when you were younger? This is a perfect copycat of that, with less sugar. 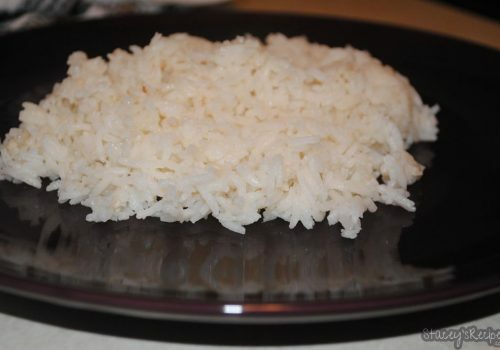 This recipe is easy to make – I threw it together in 10 minutes! But it won’t last that long, Its so easy to snack on this chex mix. 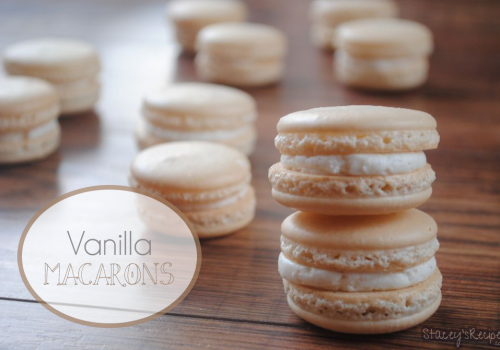 Whether you add milk – or just on its own – this will be your favorite weekend snack! Melt you butter in your saucepan over low heat. While your butter is melting, use a small bowl to combine the sugar and cinnamon. 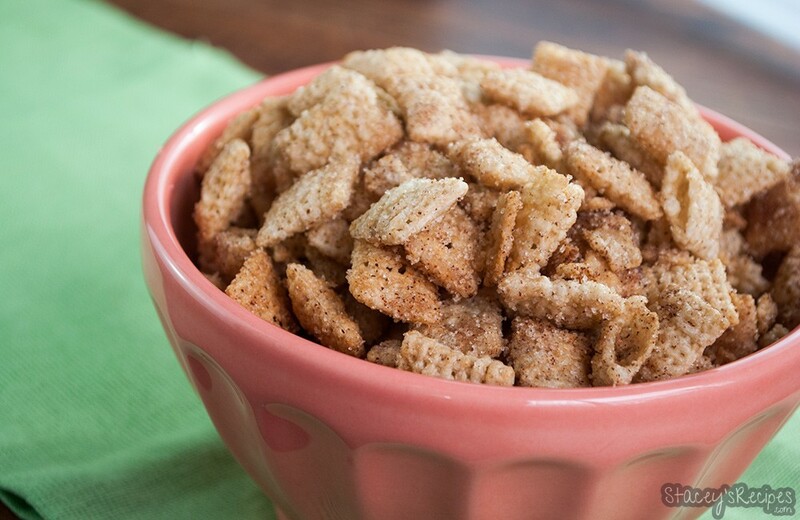 Measure out your Chex Cereal in your large bowl. Once your butter is melted, pour over your cereal and make sure its evenly coated. 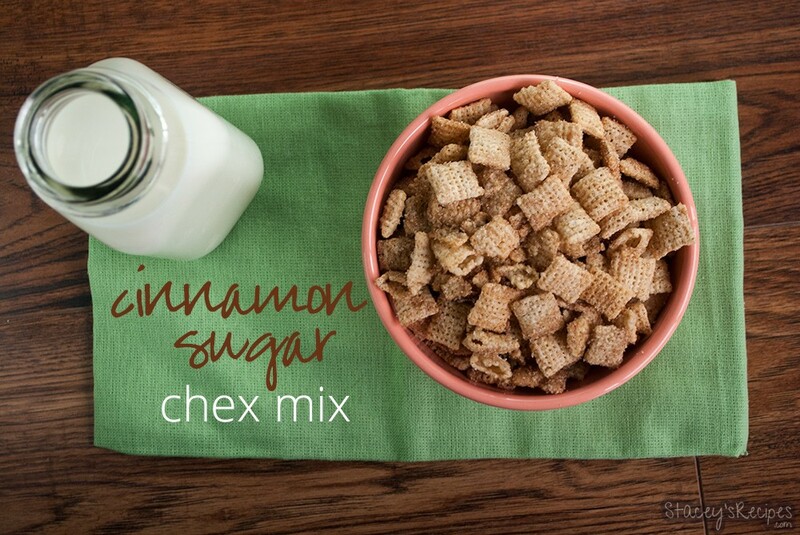 Pour half the cinnamon sugar over the cereal, stirring to evenly distribute. Pout the second half over the cereal and stir until the cereal is coated in the cinnamon sugar. 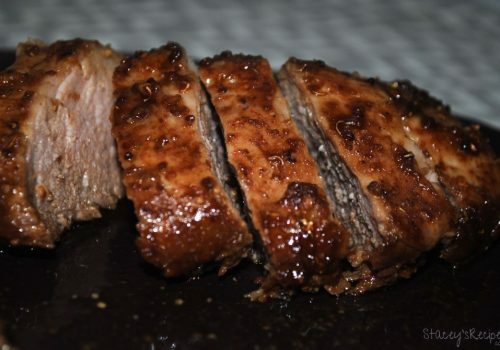 Pour out on your parchment paper for 30 mins to set. Hello, thank you for the recipe, but you do not have what temperature the oven is to be set to and for how long.